Approve devices too slowly and lives could be lost during the wait // too quickly, and flaws might slip through undetected // so where’s the happy medium? Joshua Oukrop’s cardiologists were stunned when the 21-year-old college student died from sudden cardiac arrest during a biking trip near Moab, Utah, in 2005. But they might have been less surprised had they known the history of the device—a Ventak Prizm 2 DR implantable cardioverter defibrillator, manufactured by Guidant Corp.—placed in Oukrop’s chest to correct abnormal heart rhythms associated with a condition called hypertrophic cardiomyopathy. Guidant, now part of Boston Scientific, had received more than two dozen reports of the device’s failing to deliver a lifesaving jolt to hearts that sometimes quiver instead of beat. In 2002, just months after Oukrop’s implant, Guidant twice modified the device to prevent short circuits, and the company says that in 2003 it notified the U.S. Food and Drug Administration about the design changes. But according to the U.S. Justice Department, which filed criminal charges against Guidant last February, the company failed to include a required disclosure—that the device had been altered to correct a safety flaw. Meanwhile, physicians had implanted 24,000 Prizm ICDs, which were finally recalled a few months after Oukrop’s death. In April, Guidant pleaded guilty to withholding information from the FDA. The story is one among many describing fatal consequences of faulty medical devices. In 2006, the most recent year for which statistics have been compiled, the Center for Devices and Radiological Health—the FDA division whose mission is to ensure the safety and effectiveness of about 100,000 types of medical devices—received 224,197 reports of faulty products, including 116,086 device-caused injuries and 2,830 deaths. Many consumer groups and physicians think that, too often, the CDRH approves devices without rigorous clinical evidence that a product works and is safe, and that the agency is remiss in monitoring devices already on the market. 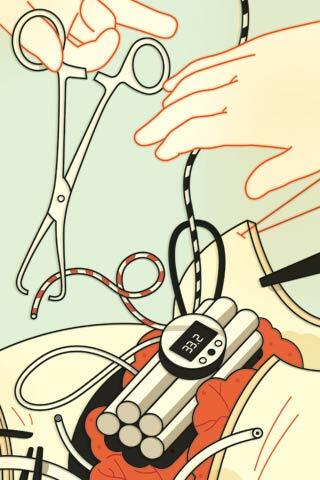 “The FDA’s standards for medical devices are much too lax,” says Mitchell Feldman, a professor of medicine at the University of California, San Francisco, School of Medicine. As a consultant to the California Technology Assessment Forum, an independent nonprofit organization that evaluates new medical technology, Feldman reviews the clinical evidence supporting device manufacturers’ claims of safety and effectiveness. The CTAF sets its bar high: Only a quarter of CDRH-approved new technologies pass muster. While many people assume that the FDA scrutinizes medical devices as carefully as it does prescription drugs, the rules for devices and drugs are different, according to epidemiologist Diana Zuckerman, president of the National Research Center for Women & Families, which studies health programs, policies and agencies. “For the riskiest devices, the FDA requires ‘reasonable assurance of safety and effectiveness,’ but drugs have to be ‘proven safe and effective,’ ” Zuckerman says. Physicians can use medical devices “off label,” but manufacturers can’t promote those uses. 1. “Semper Fidelis—Consumer Protection for Patients With Implanted Medical Devices,” by William H. Maisel, The New England Journal of Medicine, March 6, 2008. Maisel describes how the FDA’s regulation of devices allows manufacturers to knowingly sell potentially defective devices while they seek approval of a new design to fix the defects. 2. “Postmarket Evaluation of Breakthrough Technologies,” by Sunil V. Rao et al., American Heart Journal, August 2008. The American College of Cardiology and the Duke Clinical Research Institute convened experts to address shortcomings in post-market surveillance of medical devices. Among the recommendations: to enroll sicker patients with complex diseases in studies to obtain more realistic data on device safety. 3. Hope or Hype: The Obsession With Medical Advances and the High Cost of False Promises, by Richard A. Deyo and Donald L. Patrick (AMACOM, 2005). The authors argue that the user fees the FDA charges device manufacturers to review products keep the agency beholden to corporate interests. They suggest alternative approaches such as an independent safety board.